How Have LEDs Changed Aquarium Lighting? 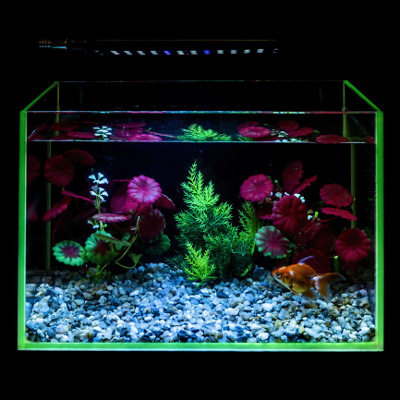 LED lights have revolutionized lighting in many areas of life, including aquarium lighting. It’s amazing how quickly technology is progressing. In practically every aspect of life, we now have tools at our disposal that we couldn’t even imagine 50 years ago. That even includes aquarium lighting. LED lights have changed things in big ways—but why are they so good for aquariums? Here’s a breakdown of how LEDs work, why you should care, and some tips for scouting out the right lights for your aquarium. So, what is a LED? What makes LED lights special? A LED light produces light by moving electricity through a tiny semiconductor called a diode instead of a filament. LED stands for “light-emitting diode.” A diode is the simplest type of semiconductor device. It consists of two sections: an N-type material, and a P-type material. N stands for negative, and P stands for positive. The former has extra electrons creating negatively-charged particles, and the latter has extra “holes” where electrons can go. These sections are bonded together with an electrode at each end. When current is applied, electrons from the negative electrode push electrons from the N-type material through the holes in the P-type material. The result is electricity flowing only in one direction. So, how does this produce light? Well, when the extra electrons move from the P-type material to the N-type material, they drop from high orbitals (far from the atom’s nucleus) to low orbitals (closer to the atom’s nucleus). As a result, the electron releases energy in the form of a photon, the particle which produces light. If you’re interested in understanding the science more deeply, the video below dives deeper into the mechanics of how LEDs work. What Are the Advantages of LEDs for Aquarium Lighting? There are two main advantages to LED lights for aquariums: cost-effectiveness and versatility. Because of how LEDs work, they’re more energy-efficient and longer-lasting. With the drastic reduction in the cost of semiconductors in recent years, they’re also now relatively inexpensive to buy. These factors make LEDs cost less in the long term compared to incandescent or metal halide bulbs. LED lights are relatively small, energy-efficient, long-lasting, and don't produce much heat. Why are they more energy efficient? Well, incandescent bulbs have to heat up the filament to produce light. Unless you’re using the lamp as a heater, all that energy is totally wasted. It’s mostly going toward heat instead of producing light. LEDs, on the other hand, generate very little heat. A lot more of the electricity that it uses goes directly to producing light. As a result, they need less power, which is great for your electricity bill. For example, one LED bulb from Sewell produces 76.9 lumens per watt, while an incandescent bulb produces 17 lm/W. Because LED lights are more energy-efficient, they’re also longer-lasting. Good LEDs last about 50,000 hours. If you use it 8 hours a day, that means it’ll last 17 years. In comparison, a metal halide bulb with a 2500-hour lifespan will only last 10-11 months. That means you can go through one LED bulb or 20 metal halide bulbs. Even at the 50,000-hour mark though, the bulb has only faded to 70% of its original brightness. They don’t suddenly burn up and stop working like incandescent bulbs. So, while they may cost more than incandescent bulbs up-front, LEDs are more energy-efficient and longer-lasting, which makes them more cost-effective in the long-term. LEDs use less electricity to produce the same amount of light. They’re also smaller, emit less heat, and provide light that plants can use more efficiently. All of these factors mean that LEDs open up a lot of possibilities for your aquarium. 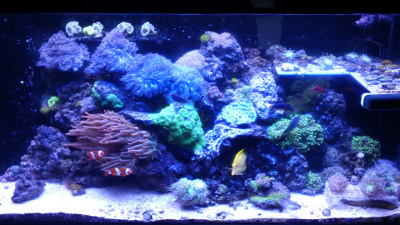 LED lighting greatly expands your options for how you want your aquarium to be lit. First of all, because LEDs are relatively small and don’t produce much heat, you don’t have to worry about the light heating the water too much or the setup being quite as big and unwieldy. As we’ve discussed, a LED light is also more energy efficient. This gives you more freedom to create the lighting setup you want without spending a lot more, using a lot of electricity, or rigging up a whole lot of lights. Additionally, high-quality aquarium LEDs produce less yellow/green spectrum light. Yellow/green light is inefficient because plants and coral can absorb less of it. Instead, the light it provides is balanced to include more PUR (photosynthetically useful radiation). Because of this, high-end LED light can look less bright to the human eye, while still producing more useful light energy. That gives you more control over how bright you want your aquarium to be while still giving your plants and coral what they need. How Do I Know Which LEDs to Buy? First, consider the PUR of the LED bulbs you want. 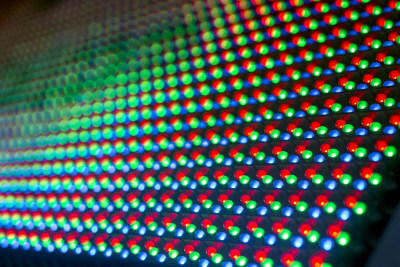 Some LEDs only promote the amount of visible light they produce. However, some of those same lights require up to 3 times as many emitters to produce the same amount of PUR light as the best LED fixtures. Other considerations will center on the amount of light your aquarium needs, the size of the aquarium, the look you want, and more. Since LEDs last so long, it’s worth investing the time into figuring out the perfect one for your needs. The experts at Living Art Aquatics have been designing and maintaining custom aquariums for many years. Give us a call, and we’ll do our best to find the perfect LED for your setup!